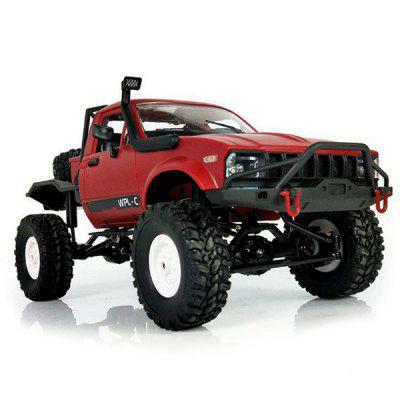 You can now give your long wheelbase (12.8″) Traxxas TRX-4 a new look even quicker, thanks to Pro-Line’s Pre-painted and Pre-cut Jeep Wrangler Unlimited Rubicon body. Designed for the Land Rover Defender and Tactical Unit models, this body option has already been cut, painted and decaled, making it easy for you hit the trail with a new-look ride. Painted in an eye-catching blue, this replica Jeep Wrangler body is made from durable Lexan polycarbonate and has been molded to include 1:1 Jeep details such as grille markings, door hinges, and fender flares. Priced at $93.46, the Pro-Line Pre-painted/Pre-cut Jeep Wrangler Unlimited Rubicon body will be available online and through your local Pro-Line dealer. Visit prolineracing.com for additional details about this R/C crawler body.